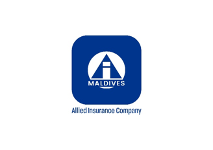 Allied Insurance Company of the Maldives was established in 1985 as a joint venture Company between State Trading Organization and Commercial Union Assurance Company of the United Kingdom. In its early years, the State Trading Organization bought back the shares and the company continued operations with local ownership and management. Allied has had tremendous growth over the past 20 years, both in terms of the volume of business and profitability. The strength and success of the Allied Insurance as the leading insurance company in Maldives is the result of our experience, innovative products and excellent service. Allied Insurance has a local management and with its in depth knowledge of the local market is well placed to serve the various type of risks in the Maldives. Many of the corporate businesses in Maldives are among our clients. In the international reinsurance market, Allied Insurance is supported by the world leading reinsures and Allied works in close partnership with these companies, in order to give more professional service to the Maldivian market. Allied's major reinsurers include the biggest names in the reinsurance world. The local insurance market is in a process of rapid change and Allied has continuously met the growing needs of the market. As business activities expand and our customers venture into new areas, Allied supports them by providing protection to match their special needs. Allied takes special interest in supporting investments made by individuals and small businesses regardless of the business sector. As market leader, Allied assumes responsibility for healthy development of the Maldivian insurance market and will be at the forefront of all efforts to improve transparency and set new standards of service, for the benefit of the industry and the Maldivian economy as a whole. Thus Fuel Supplies Maldives pvt ltd was established on January 01, 2001 with the blessings and good grace of Allah. 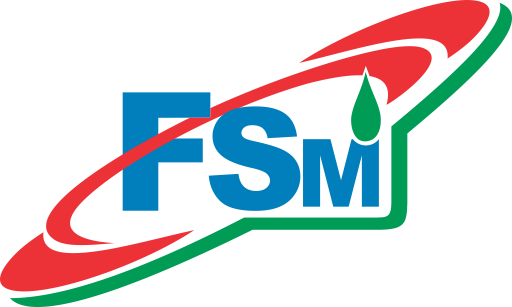 FSM was founded as part of the scheme of STO to choose private companies to form partnerships in specialized lines of services. Innumerable opportunities would be open for these private parties to take advantage of STO's vast experience, knowledge and influence as one of the oldest-established trading entities in the Maldives. It was the need for such a unique fuel distribution system that triggered the constitution of FSM. State Trading Organization plc, the colossus of trade in the nation imports marine gas oil, gasoline and kerosene into the country and had no major position with regards to the distribution as there were and still are a number of distributors large and small. However, ST O with an ambition to form partnerships with private entities to facilitate a promising business environment and pave the way to incorporate 21st century corporate style into today's local businesses, looked into the prospects of forming partnerships with the distributors then. STO invited most of the distributors for a screening process through which Vara Maldives pvt ltd and Royal Enterprises pvt ltd were selected. It was envisioned that all three entities coming together had the potential to develop a powerful distribution network offering better rates than previously to clients. Further, the combination would expand the fleet of vessels that would form the hub of the company. The venture would create unparalleled competition challenging the quality of service to increase and new trends for corporate businesses with a global view would be set. 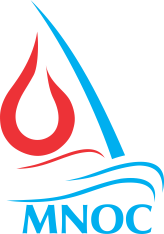 Thus Fuel Supplies Maldives pvt ltd was established on January 01, 2001 with the blessings and good grace of Allah. In the natural gas distribution market, Maldive Gas delivers cooking gas to over 40,000 customers throughout the Maldives. The company supplies liquefied petroleum bottled gas in 10kg, 22kg and 45kg cylinders with a wide range of appliances for domestic and industrial purposes. 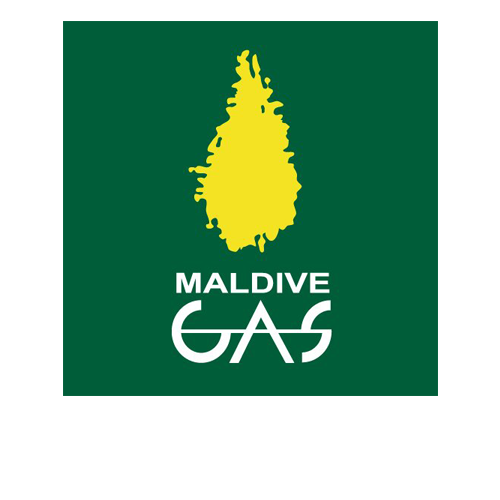 Maldive Gas also sells a range of products from gas stoves to regulators and other LPG equipments. Maldive Gas now provides customers with vastly improved services compared to the beginning years. As a subsidiary of State Trading Organization plc, the Maldives Gas company, has emerged as an industry leader in gas supply and distribution solutions. The Maldives National Oil Company ltd (MNOC) was incorporated by the Government of the Republic of Maldives to complement the Government's effort to diversify the national economy and thereby generate employment and foreign income through oil and gas exploration and production in the territory of the Maldives and abroad. MNOC is directly responsible for the development of oil and gas industry processes in the Maldives and overseas. This responsibility encompasses exploration and drilling for oil, natural gas, hydrocarbons and related minerals. MNOC is also entrusted to oversee the production, refining and transport of the aforementioned substances and any of their derivatives or by-products. The principal activities of the company includes making necessary preparations such as seismic survey agreements with foreign oil and gas exploration companies to commence the third round of oil and gas exploration in the Maldives. The company in the oil and gas sector by sponsoring Maldivians to study and gain experience in the oil and gas industry abroad. MNOC is also involved in the sourcing of crude oil from crude oil producing countries, for the purpose of refining and processing at the Ceylon Petroleum Corporation (Ceypetco) refinery center in the world. The crude oil refining and processing agreement between MNOC and Ceypetco was negotiated in the year 2003. According to the agreement, the refined petroleum products will be used for consumption in the Maldives. Maldives Structural Products pvt ltd (MSP) is a joint venture company of State Trading Organization plc and Rainbow Enterprises pvt ltd, formed with the main objective of producing steel roofing products and related accessories and supply to the Maldives market at an affordable price. The Company is constantly working to reduce costs wherever possible, without compromising the quality, so that the consumers will get the best value for money. The raw materials used are Australian made BlueScope Steel Colorbond® and BlueScope Steel Zincalume® steel which are considered to be one of the best and hence MSP's roofing products are of world-class quality. For G.I roofing sheets Blue Scope Steel's Zinc-Hi-Ten® material is used. Presently MSP rollforms two profiles of roofing sheets. They are MSP-SEADEK® and MSP-WAVEDEK®. 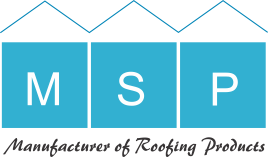 MSP also supplies various roofing accessories such as gutters, cappings, flashings etc. At present, the two profiles widely marketed in Maldives are accepted by everyone as quality and affordable products. Some advantages of using MSP's roofing sheets are fast delivery time as well as the possibility of getting customized lengths, which will avoid unnecessary lapping and therefore reduce cost. The Maldives Industrial Fisheries Company (MIFCO) was incorporated under the umbrella of the STO group during this year. The company is engaged in the processing and exportation of tuna, tuna products, reef fish and other fishery products. MIFCO’s products are in increasing demand by discerning customers, especially in Europe due to its high quality. The main activities of the Maldives Industrial Fisheries Company (MIFCO) are centered around the purchase, process and value addition of tuna and the subsequent sale and exportation of tuna, tuna products, reef fish and other fishery products. MIFCO’s products are in increasing demand by discerning customers, especially in Europe due to its high quality as a result of exclusive pole-and-line skipjack fishery of the country complemented with the pristine waters of the Maldives. With the rapid development of the tourism industry in the Maldives, the government of the republic of Maldives embarked on its long term development of harbours, airports, housing and other infrastructure. The tourism industry continued to grow and many large resort projects with joint venture partnerships got off ground. All these development projects required large amounts of cement, resulting in an increased price of cement in the Maldives. This led to the introduction of Marine Cement Limited ( a Swiss based cement trading / shipping outfit owned by Lafarge of France and Blue Circle of United Kingdom), as a share holder to form a joint venture with the State Trading Organization plc, registered under the Ministry of Trade and industries in the Maldives, in establishing Maldives Island Marine Cement pvt ltd. From January 2002 with the takeover of Blue Circle by Lafarge of France. The company's silo terminal located in the fast developing industrial island of Thilafushi in North Malé ( Kaafu ) Atoll, and only six kilometers away from Capital Malé, has the ability to unload cement from bulk transport vessels from its dedicated mooring site located 80 meter off the shoreline. The fully enclosed unloading operation through two floating pipelines into three silos takes place under all weather conditions at an average rate of 220 mt/hr. the Terminal has a total storage capacity of 5400 mt in its three silos leading to a single in-line packing machine with a packing capacity of 30-50 mt/hr. an enclosed belt conveyor system conveys cement bags to a barge loading platform where local barges and dhonis of different sizes and shapes can be loaded for transporting cement to the islands. With the intention of providing cement outer atolls affordably and conveniently the company started appointing its distributors to atolls during the year 2002. the company had achieved in employing a total of 11 distributors in 11 different atolls. Further 5 atolls are being covered by the company's main sales agent and joint venture partner State Trading Organization plc. The plant is also capable of lading to lorries for inland transport of cement in bags or in big bags. A big bag loading station and the tower crane allows for serving larger customers. The terminal infrastructure includes independent power supply, fuel and water storage, work and repair facilities, empty bag / spare parts stores, office and staff accommodation. The company over the time has introduces new products into the Maldivian cement market of which first was the 1000kg jumbo bag, which is widely accepted by the contractors of large projects. Being customer driven and health conscious, the company launched its next product, the 25kg bag on May 2002, which is mostly targeted for customers acquiring cement for transportation to distant islands where lot of handling is required. The company imports cement with the use of Marine Cement's thirteen ocean going bulk cement tankers, sourcing from Indonesia or Malaysia. The successful acceptance and integration of the Maldives Cement brand to the construction industry in the Maldives has realized the company to claim a market share of 35-45%. The company is among the first to be certified for ISO 9001:2000 in the country.